We created Beachcombers Dog Grooming Spa on the principle of recognising that every dog is unique with individual needs and therefore deserves personalised attention while being groomed. 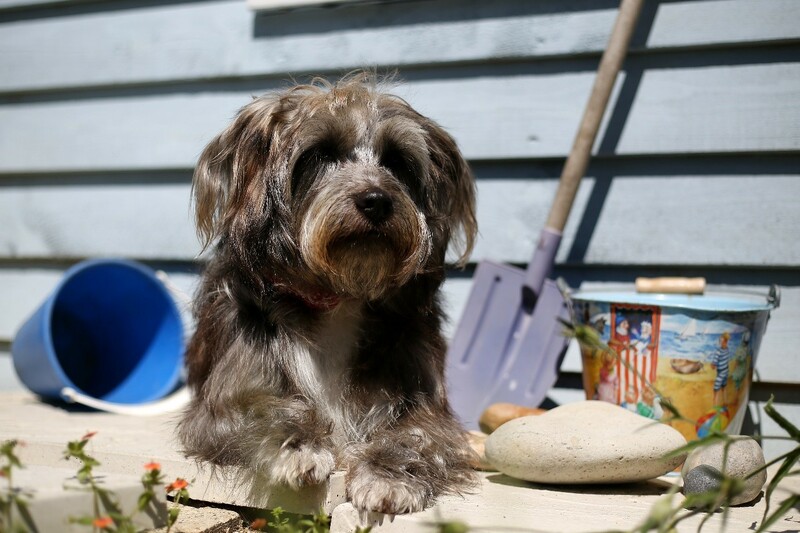 With state of the art equipment and resources, at our purpose-built dog spa beach hut in Worthing, West Sussex, we aim to offer the very best personal service to you and your dog. We provide a relaxed and stress-free environment because we understand dog behaviour and how the experience of being groomed can evoke fear and stress in some of our dogs. By adopting confident, patient and gentle handling, with behavioural strategies based on animal learning theories, we can work on reducing any fear and distress they may be experiencing and build positive relationships for future stress-free grooms. Living by the sea, we are fully aware of the harsh effects the sun, sea water, sand and pebbles have on the skin, coat and pads of our dogs that enjoy seaside life. Our focus is on education, and we take a supportive approach to everyone that visits us in promoting the health and wellbeing benefits of caring for the coats and skin of our happy beach loving dogs. We will work with you in creating an individualised Beachcombers groom for your dog’s specific needs. Take a look at our additional treatments when you arrive, where we can build bespoke treatment plans for beachcomber dogs. If you need us to soothe dry, sore skin, repair and condition a bleached, dry, dull, tangled and broken coat or to help heal, moisturise and nourish the skin of sea-side paw pads then contact us today. Looking forward to welcoming you to Beachcombers soon! Want to book a free consultation or have a question?